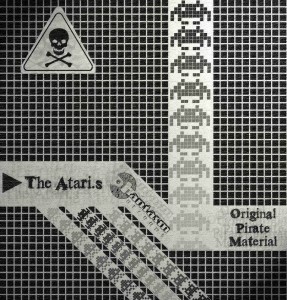 The Original Pirate Material EP features three blistering tracks by The Atari.s, a Mexican psytrance group signed to Phantasm Records. Their high-energy full-on style is similar to that of Eskimo, Cycle Sphere, and Bliss; expect to hear hard kicks, bold bass lines, sharp acid riffs, and explosive crowd-pleasing breakdowns. In addition, Original Pirate Material also features elements of contemporary electro and breakbeat music. The resulting blend is primed and ready to rock the dance floor. MP3 Download | FLAC Download | WAV Download · Download count: 10,552. Although this EP was released without an explicit licence it is free to download, share, and perform as long as proper credit is given. If you wish to use any part of this EP for purposes aside from regular listening or DJing, please contact Phantasm Records or The Atari.s. Is it just me, or does there seem to be something wrong with the MP3 download link? Guys What Can I Say, But Wooowww. Psy-breaks sweet. I Could Play This In A Mainstream Club. Even Though It’s Truly Underground. There does seem to be a problem when i download i don’t know whether it’s my computer or what though. nice little ep with not so very nice bass that tears through the speakers at times. well done. good stuff, but i noticed that the breakdown of ‘sound system speaking’ is the same breakdown from far too loud’s ‘play it loud’ (broken robot mix).. like, the ENTIRE breakdown! reminds me Wipeout videogame soundtracks..